Arts on the Credit welcomes Tara Marsh in this our fourth year. Tara creates beautiful blown glass pieces. Tara Marsh was born and raised in rural Ontario, instilling in her a love for the outdoors and nature. exploration of a new art form in the Glass Studio. 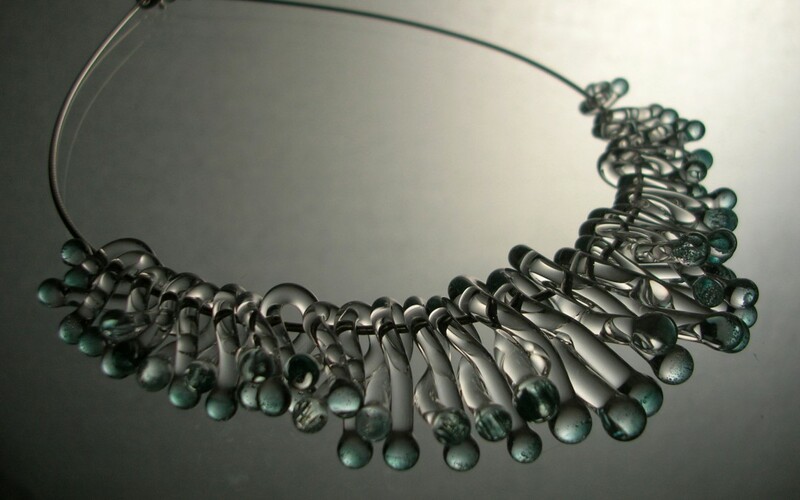 After completing three years in the glass program at Sheridan College in 2004, Tara joined a co-operative studio called Glen Williams Glass, located in Glen Williams at the Williams Mill, just north of Georgetown. The creative process in her art pieces begins by brainstorming. using the textures, colours and forms of nature. There is a saying by John Opie that states “Art is more godlike than science. Science discovers; art creates”. Working with glass is a science, you never stop discovering the intricate characteristics of glass. In spite of being better able to understand and control it, the art pieces are often unique and unpredictable. Tara has developed a love for the medium of glass and continually strives to improve her skills.